Alleviate the hassle of standing in line for ski rentals and experience award winning ski rental delivery provided by Ski Butlers. Make your reservation here and receive 20% discount for booking through Summit Express. Use promo code SE2018 if booking by phone. Whether you’re on the trail, in the water or up the mountain, Sun & Ski Sports has the essentials you need for your active lifestyle. Our stores are staffed with certified ski and bike technicians with years of experience. Come see us this season for expert advice and professional service. itrip is one of the fastest growing full-service property management companies in beautiful Summit County. From 1-bedroom condos to luxurious private homes with acreage, we offer a wonderful guest-centered experience at our many properties. Customer Service Champion Finalist – Summit County Chamber of Commerce!! The Lake Dillon Theatre Company (LDTC) was founded in October 1993. Its mission to raise funds for a capital expansion project for the Lake Dillon Amphitheater and subsequently produce a free summer concert series now known as the Sunset at the Summit Concert Series. This wildly popular venue opened Summer 2017 and was voted the Best place to Dance in Summit County. Discover the perfect mountain getaway at the Frisco Inn and Spa on Galena. The Inn is the perfect setting to “Relax, Reconnect, Recreate, and Rejuvenate” with an ambiance reminiscent of the fine, small hotels and B&B’s, of Europe. Stop here for everything you need to know about what to do on your stay in Summit County. The latest events and activities along with listings for local businesses. The Frisco Lodge Bed and Breakfast is “Your Home Away From Home”, offering fabulous hospitality and service, richly appointed guest rooms, gourmet breakfast and happy hour, and incomparable historic ambiance. Offering guided snowmobile tours through Colorado’s HIGH COUNTRY and tubing adventures from beginner to advanced. We cater to all levels of riding abilities. 1, 2, 3 hour and full day rides. Free snowsuits, boots & helmets. We are Colorado’s finest snowmobile & tubing adventure! Mention this add and enjoy $10 off any 2 hour or longer tour. Located in the heart of historic Breckenridge and on the amazing Four O’clock Ski Run, Pine Ridge is the ultimate in convenience with easy access to Main Street and the Snow Flake Lift. Every condominium features a full kitchen, fireplace, two balconies, two bathrooms, washer/dryer, and free wifi, with access to on-site parking, hot tubs, fitness center and access to heated swimming pool. Wildernest Vacation Rentals offers a variety of accommodations including lake, forest and mountain view properties. Whether you’re looking for a luxurious private home or a cozy one bedroom condominium, we’re sure you’ll find a property that’s just right for you. One stop shopping for Ski vacation packages, expert knowledge, amazing service, and the best ski and stay package rates for Colorado, Utah, Wyoming, Montana, Lake Tahoe, Canada, or South America. We create memorable magical experiences and customers for life! Up to 45% Off Ski Packages. Ski Country Resorts is the one stop shop for travelers; discount lift tickets, ski & snowboard rentals, dog sledding, zip lining and bike rentals in the summer. At Ski Country Resorts we take pride in knowing our visitors are the happiest visitors in town and the fun never end. The Lodge at Breckenridge, your resort for magnificent Rocky Mountain adventures Situated on a forested cliff at 10,200 feet, The Lodge overlooks Boreas Pass, Breckenridge Ski Resort and the Ten Mile Range. Here guests will find all the comfort and services they would expect from a world-class ski resort in a charming boutique hotel. The Wedgewood Lodge is located three blocks from historic Main Street and across the street from Snowflake Chairlift and Four O’clock Run. We are family owned and operated and are an ideal destination nestled in the Rocky Mountains. 10% discount if you mention you found us on Summit Express! The Holiday Inn Summit County has been in the ski industry for the last 40 years in the beautiful town of Frisco. We are located in the center of 8 renowned ski resorts. In 2011 we upgraded with a 5 million dollar renovation plus our newest addition, the Sporting News Grill. Serving all your needs under one roof. Bask in the beauty of the Rockies in our cozy all suite hotel located at the base of peak 8 and only 2 blocks from the shopping and dining of historic downtown Breckenridge. Enjoy world class service, daily concierge service and free in town shuttle. We are a full service property management company providing a variety of lodging options in Keystone, CO. Our mission is to provide the best customer service in Summit County! We are a property management company located in beautiful Keystone, Colorado, offering a variety of lodging options, from luxurious ski-in/ski-out condos to an eight-bedroom mountain home, and everything in between. You can experience the majesty of Keystone without spending a fortune. Our seasoned catering and event professionals can help customize your menu, work within your budget, and provide equipment, linen, china, flatware, and glassware for your event. We specialize in: Weddings, Rehearsal Dinner, BBQ’s, Special Events, Corporate Events, Event Coordinating, Event Staffing, and Equipment Rental. BabyQuip provides clean, quality, high-end, maintained, inspected and insured baby and child equipment to parents who are visiting. My BabyQuip site is easy to use, mobile friendly and provides a convenient way for visitors to place orders for the items they need to make their vacation more comfortable and more enjoyable. Hampton Entertainment is serious about changing the perception of “cheesy” DJs. We are trained in Professional Speaking, music mixing, lighting decor and choreography and are committed to continual improvement so that you can enjoy your special day. The Ski Doctor offers detailed hand repairs, tune ups and waxing for both skis and snowboards. We repair PTex, core shots, epoxy work and much more! All of our hot waxes are done manually with Purl wax, resulting with the fastest skis/boards on the slopes. And this doctor makes house calls!! All work is complete in the convenience of your hotel, condo, home or office. Exceptional ski and snowboard googles at a fair price. We sell directly to you rather than through traditional retail channels. Same day delivery in summit county. Join NOVA for a snowmobile adventure you wont forget! With access to over 100 miles of groomed trails, the opportunities are limitless! Reach elevations of nearly 12,500 ft on our Top of the Rockies tour. Our 13-passenger snowcoach is the perfect option for those looking to take in the scenery with the luxury of heat and comfort. We provide transportation with all of our guided snowmobile and snowcoach activities and will pick you up right at your hotel in Vail, Beaver Creek, Avon, Edwards, Copper Mountain, Frisco, & Breckenridge. 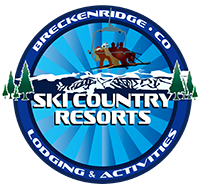 Dinner and Scenic Sleigh Rides available leaving from Breckenridge’s Peak 9 with great views looking down on the town of Breckenridge. Hot coco and blankets provided.